Embezzling from the supermarket you manage and conning your employees out of money are not reputable behaviors. But if you must commit these crimes, you better have some sort of moral explanation for your behavior. 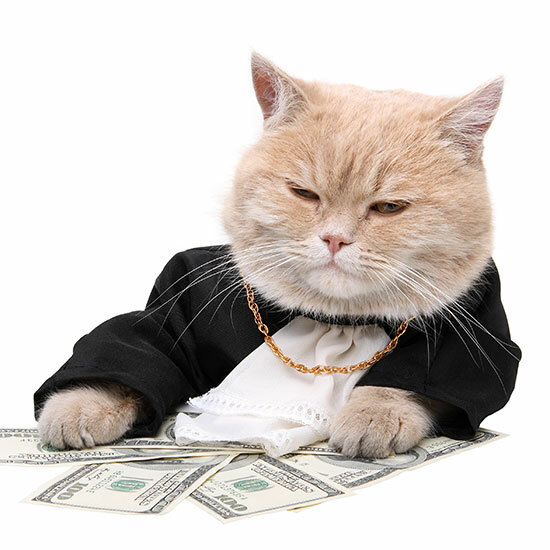 Saying you needed the money for your cat isn’t one of those explanations. A former supermarket branch manager in Vienna, Austria, was given a six month probationary sentence and required to pay back the €20,000 he took from the business and its employees after his excuse that he urgently needed the money to care for his cat failed to get him entirely off the hook, according to The Local. “I once had to pay €1,200 for it to have an operation,” the man reportedly said in court. He also said that he used some of the money to cover his monthly life insurance payments – I can only assume because he wanted to make sure his cat could continue to live comfortably if he suddenly passed away. As for the embezzlement, the 35-year-old thief reportedly resorted to many of the usual tactics: faking receipts or lying about damaged goods. But The Local also claims he lied to his own employees by telling some of them their tills were short at the end of the day and requiring them to pay back the difference. Apparently, he was able to fleece one employee out of €1,200 this way. And at one point, he made an apprentice pay back his entire salary for the month to cover supposedly missing till money. The moral is that though it’s important to treat you cat well, being nice to your pet doesn’t give you an excuse to be a jerk to humans.